Posts: 4" x 4" x 1/4" wall structural steel tube posts with 10" x 10" x 5/8" welded base plates pre-punched for anchoring. Rails: Corrugated (3 rib) 11 gauge high strength steel rails are 14" high x 2.5" deep with 3-bolt connection on each rail end. 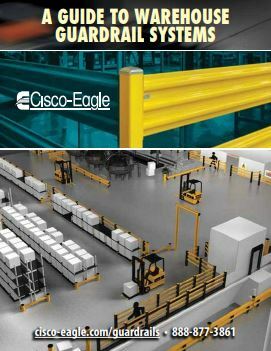 Our new Guard Rail Guide offers you insights on the various options that we offer, as well as handy comparisons of rigid and flexible systems. 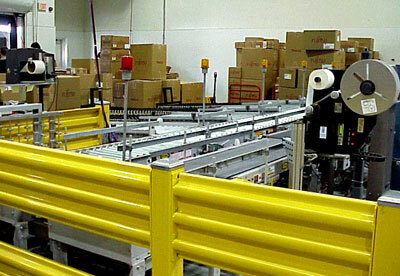 We also help you understand how guard rail impact ratings are calculated and used, so you have the knowledge to make the right selection for your facility. Also: see How to Configure Steel Guard for a quick guide to setting up your railing.